RUSH is a site responsive outdoor spectacular, originally inspired by the post-2008 global cultural phenomenon of protest and riot, where people all over the world are showing their dissatisfaction with prevailing social and economic conditions by taking to the streets. 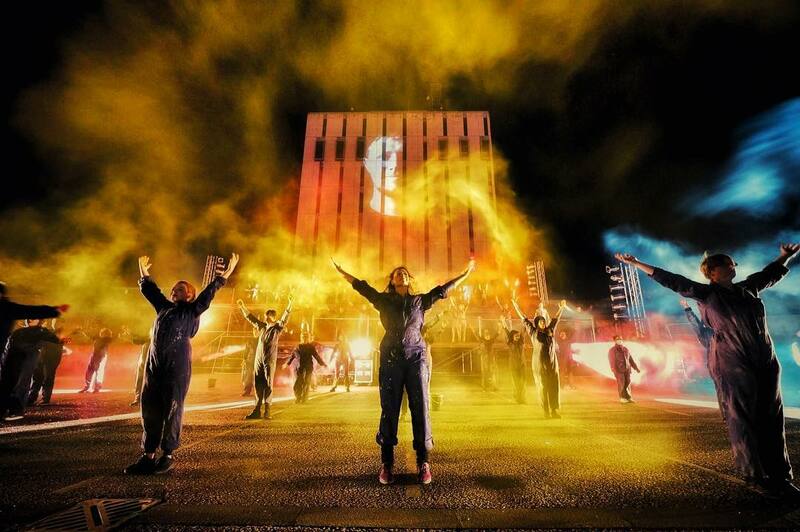 Commissioned by The Cultural Spring in 2015, it was restaged in Hull in 2017 and Blackpool in 2018. With 100 community cast joining our professional dancers for a one-off performance, RUSH is spectacular, challenging, liberating, joyful and powerful. Please note we can only stage RUSH once a year and we are now actively seeking commissioning partners from 2020 to 2025. Image courtesy of Visit Blackpool.